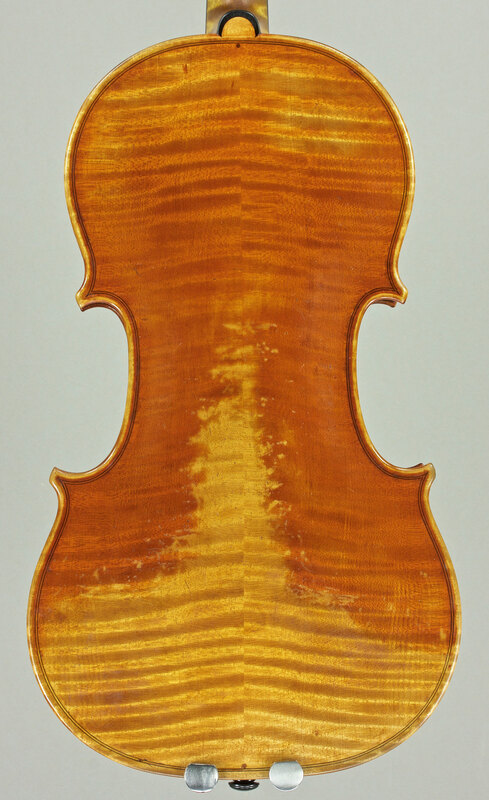 This is another 1714 Stradivari motivated violin, thanks for looking. This model has great playing characteristics and timbre with a lot of sizzling strenght in the lower registers and clarity high up. It is fun to play and motivates to practice! 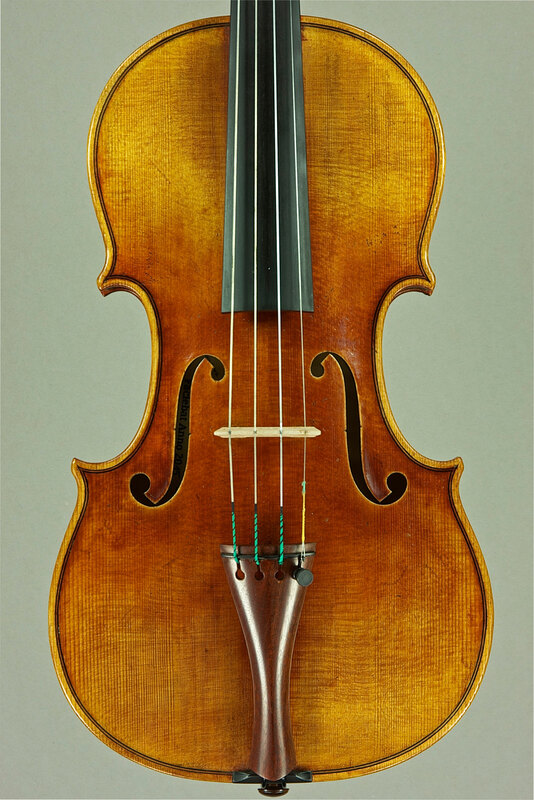 The model is based on a viola by Giacomo Gennaro who lived and worked as a contemporary of the Brothers Amati in 17th century Cremona. His intruments are rather rare and there is not much information regarding his life. 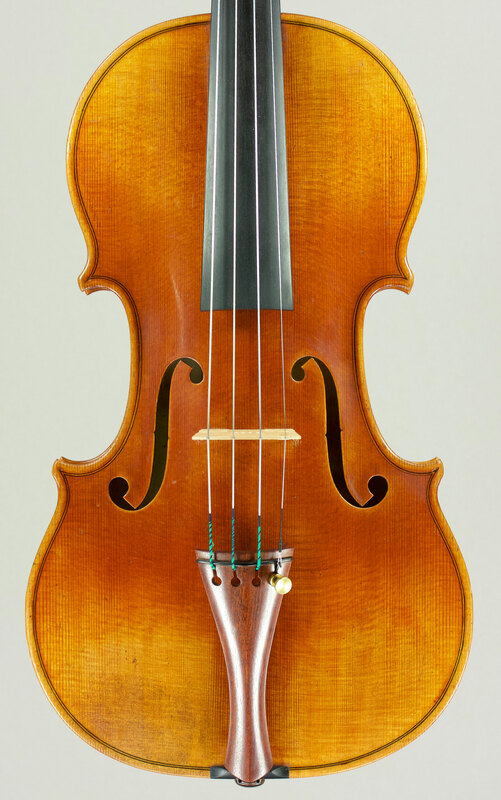 The original viola which I was inspired by is owned by the L-Bank, played by violist Gunter Teuffel and is a wonderful sounding instrument. 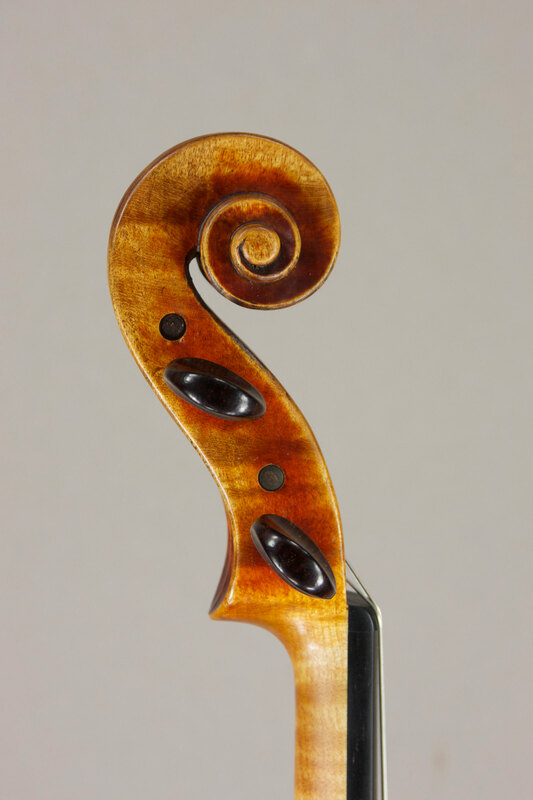 My viola has a poplar back while the original is made of slab cut maple. However for stability I used maple ribs and made a maple scroll. 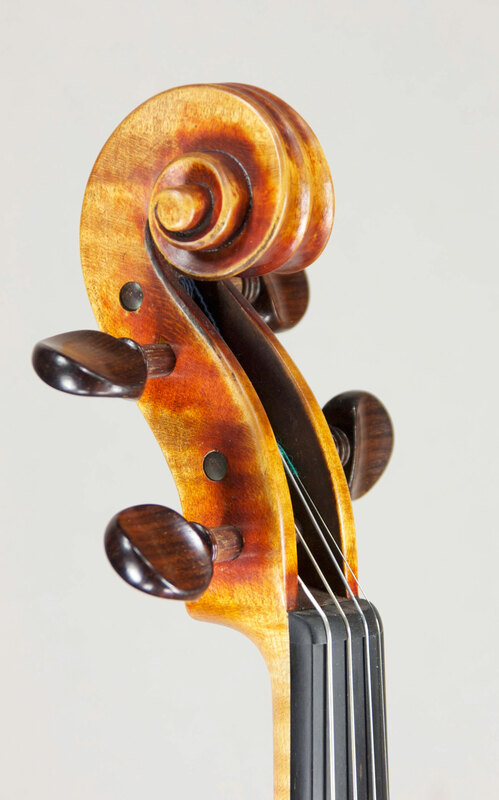 The spruce is from the Dolomites and has some stunning hazel-features which makes the top look rather flamboyant. 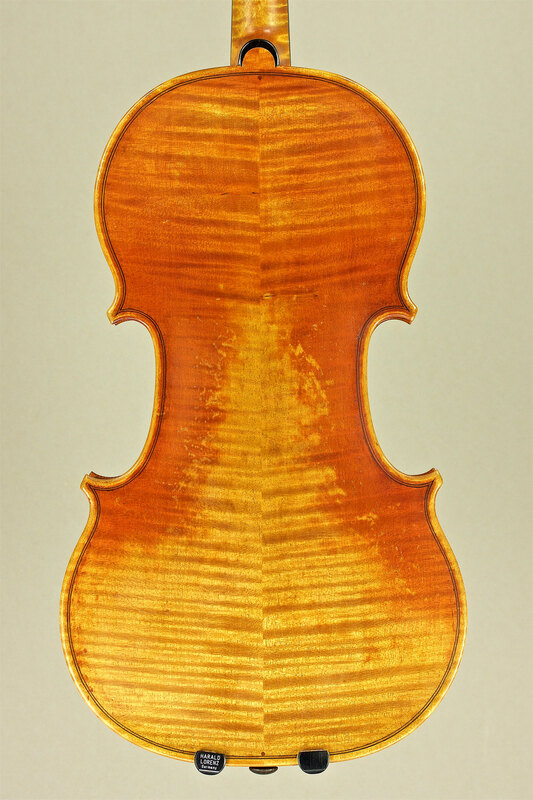 Important for violists is the bodylength, necklength and the resulting string length- more so than for a violinist where measures are more standardised. To make it more comfortable I reduced the upper body very slightly. To reduce the weight I scaled down the scroll outline in proportion to keep the original shape but make it more petite. 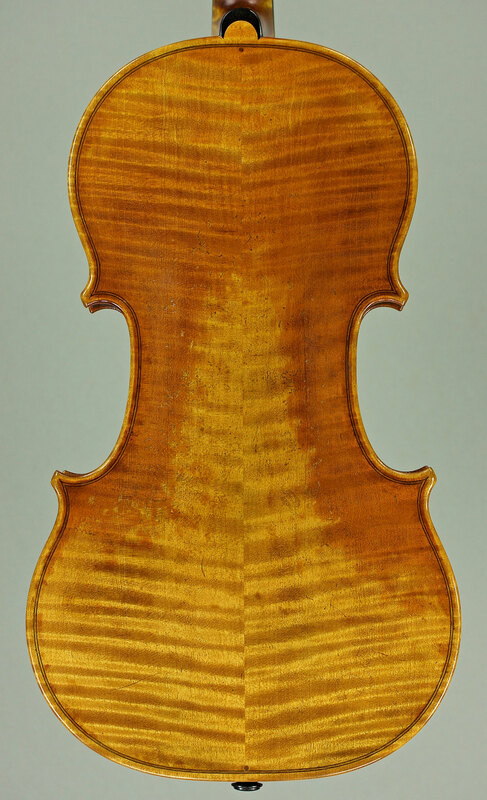 I also removed the “shoulders” which are a baroque feature on many violas but today not a preferable thing to copy since they can be in the way of the players hands in first position. 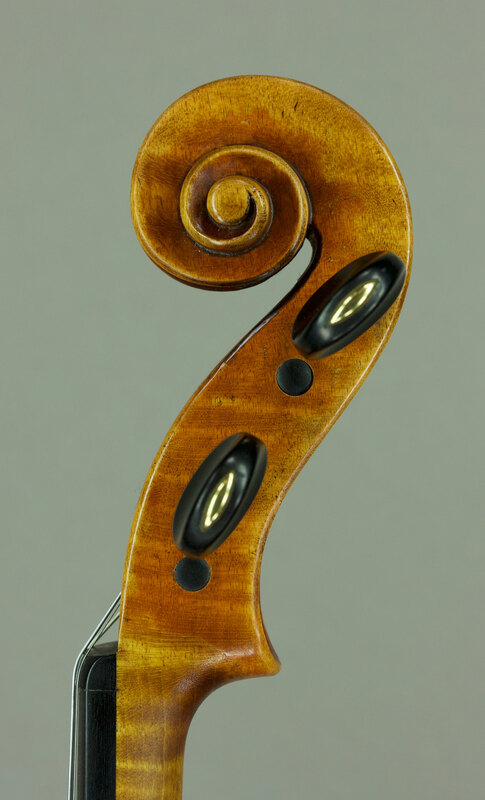 Please feel free to ask for more information on this instrument. 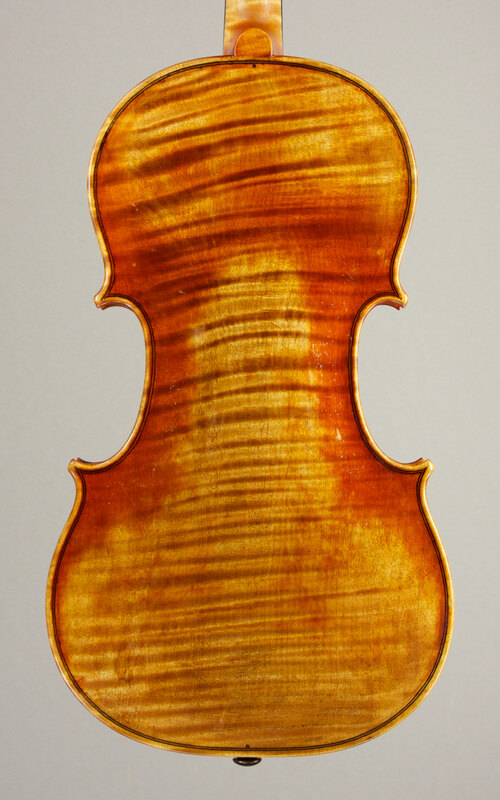 This violin is based on a Stradivari model from 1714 with which I have been useing for a while now as my main model. Take a look! 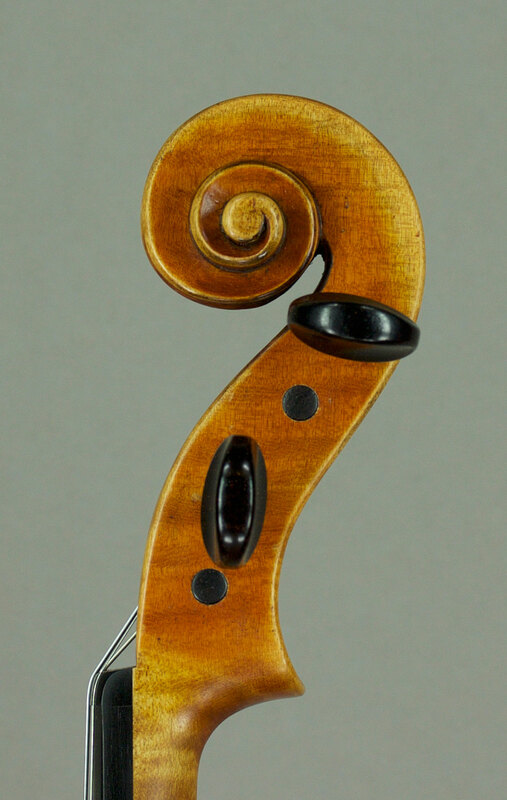 This is a violin based on the P-form model by Antonio Stradivari. 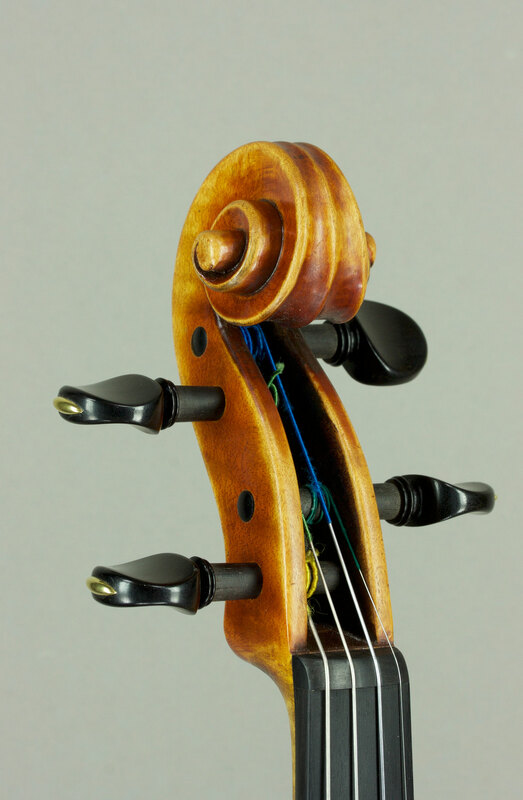 The original which I used as an inspiration has been made in 1714 and is a great souding concert instrument. 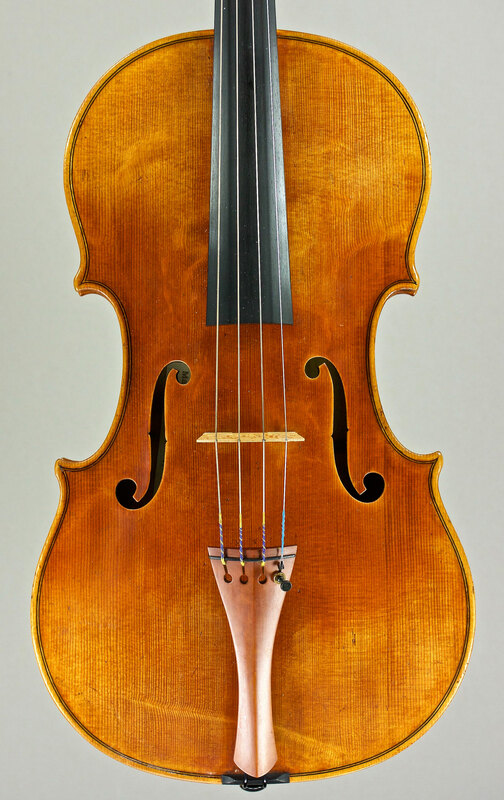 It is in mint condition and therefore a great violin to “copy”. 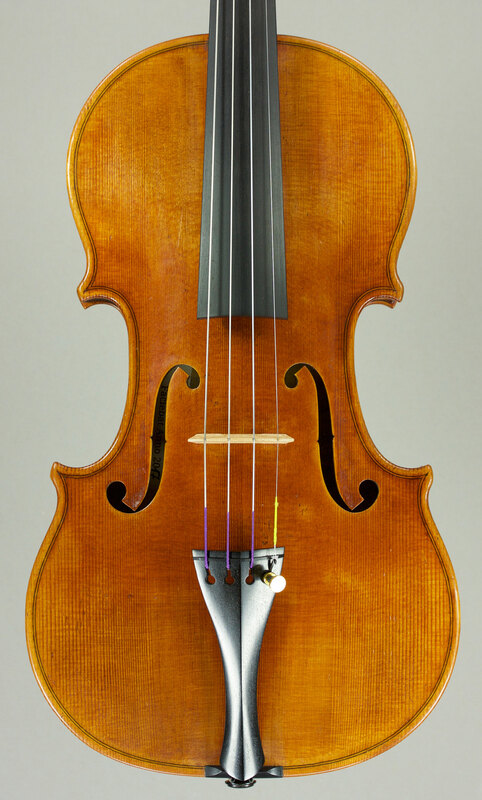 This instrument is based on a very fine 1714 Stradivari violin. 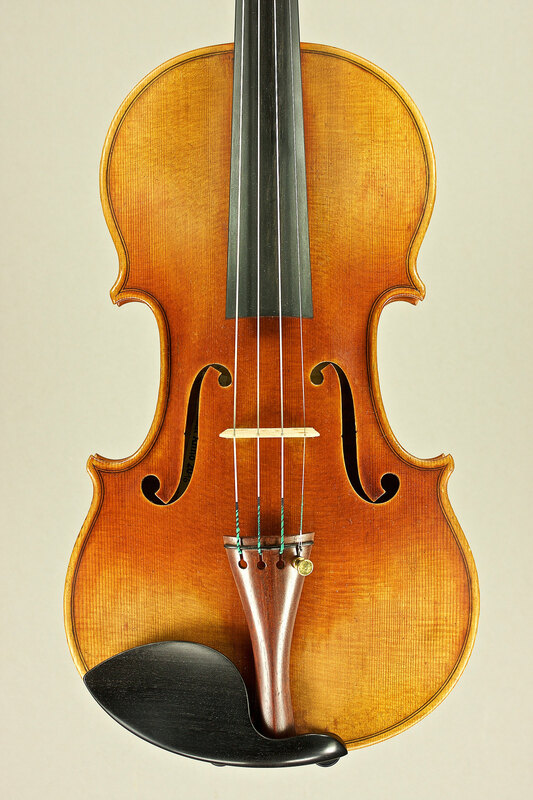 Tonally a very successful model, I had very positive comments on sound and playability. 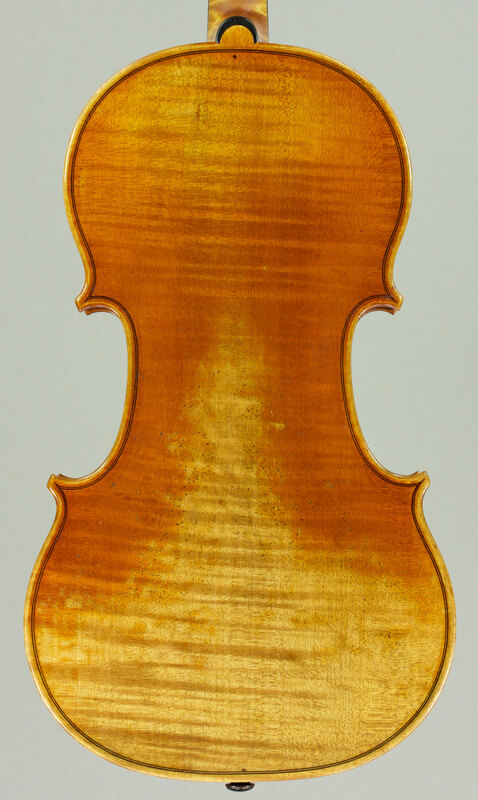 Click on the photos to enlarge them and please do inquire about this violin if you have any questions. 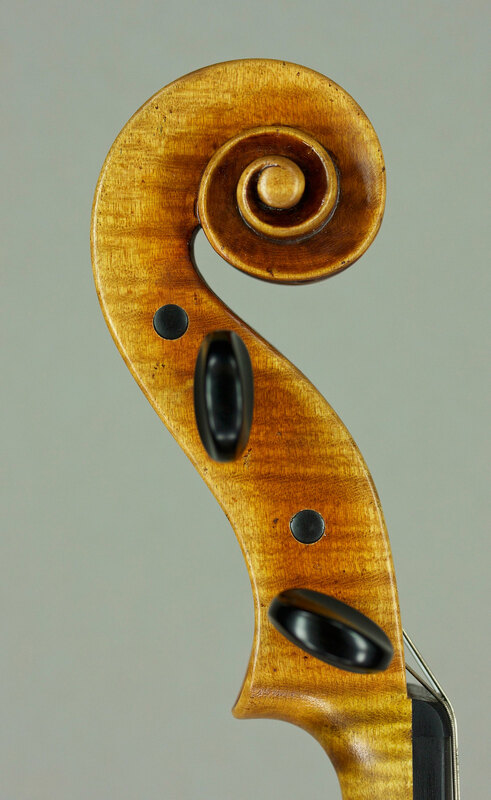 This is a violin based on the 1703 Stradivari model I regularily make. 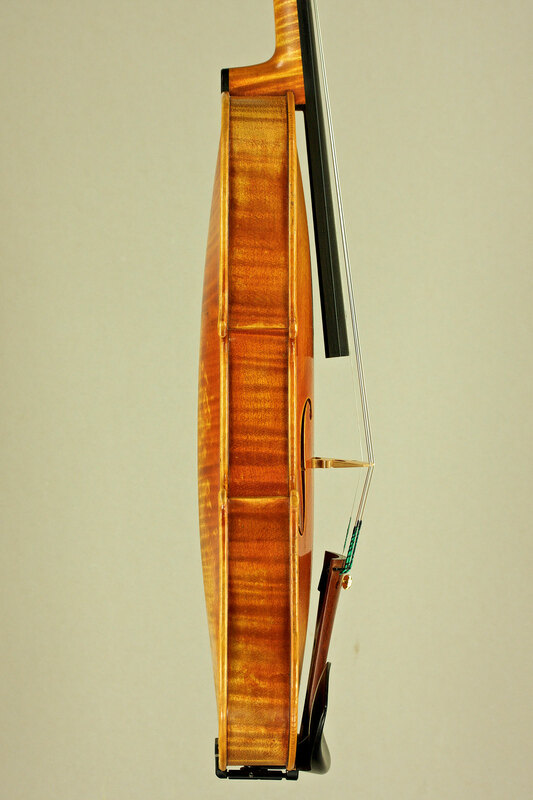 Enjoy the pictures and feel free to contact me if you have any questions regarding this instrument. 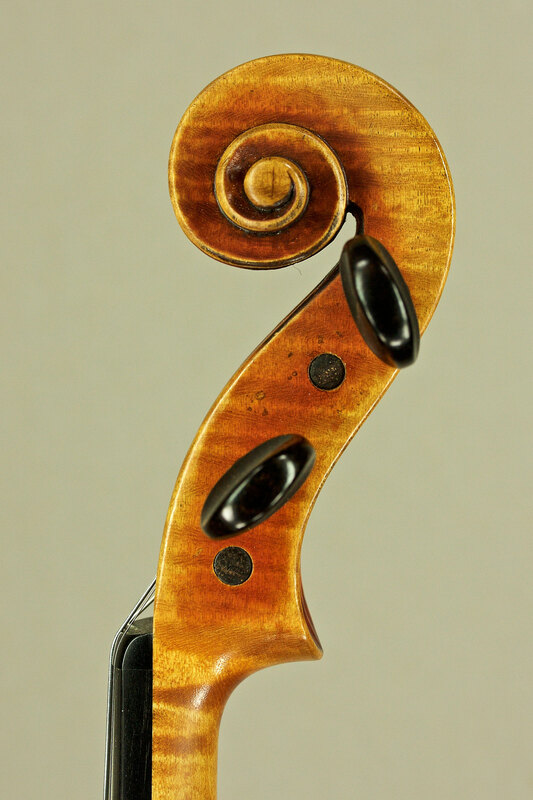 A violin based on my Stradivari model of 1703. 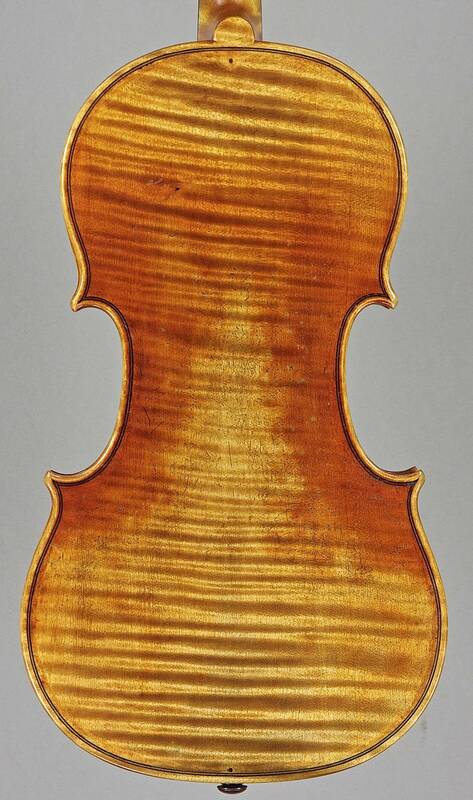 The original instrument is made by Antonio Stradivari in Cremona around 1703. 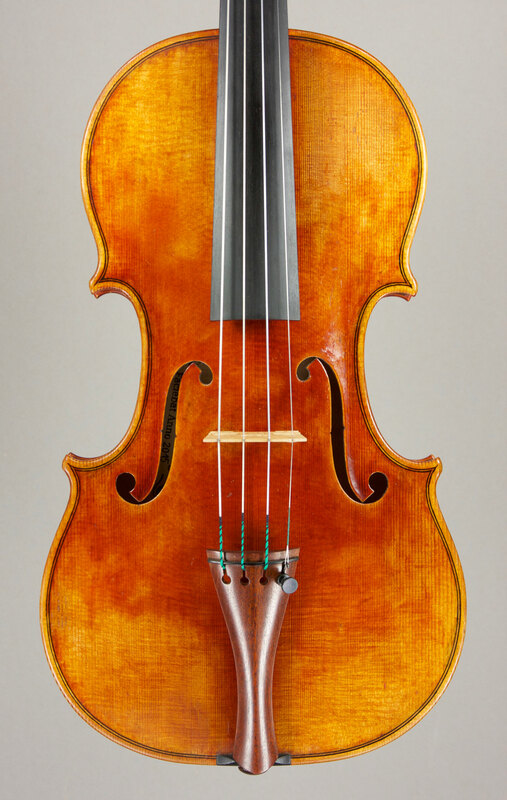 I chose this model for its beauty and tonal qualities, the archings of top and back have very little distortion and I regard their acoustic function as the most important feature to copy. 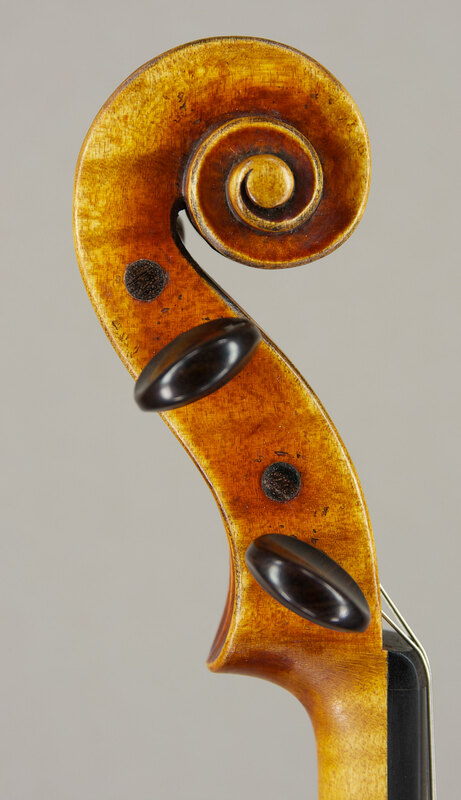 Stradivari violins from this period are still more delicate in style, which I really love- as opposed to his later more bold looking works. 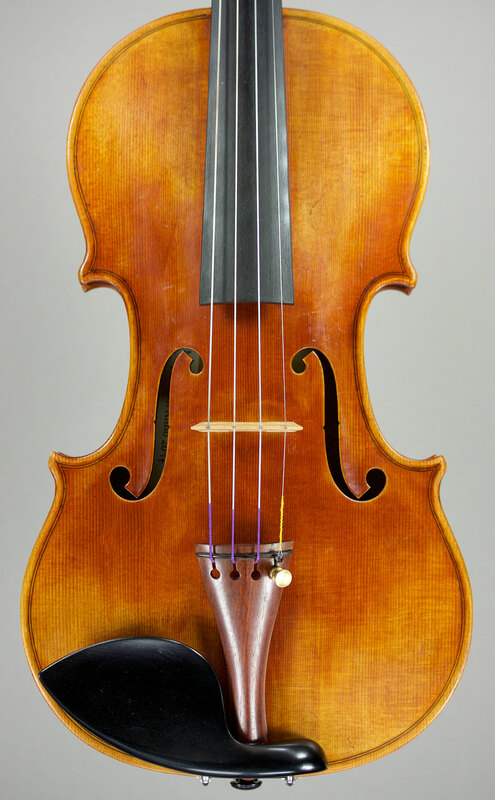 I get to see, hear and study the original violin from time to time which gives important feedback and a good base for making copies of it. 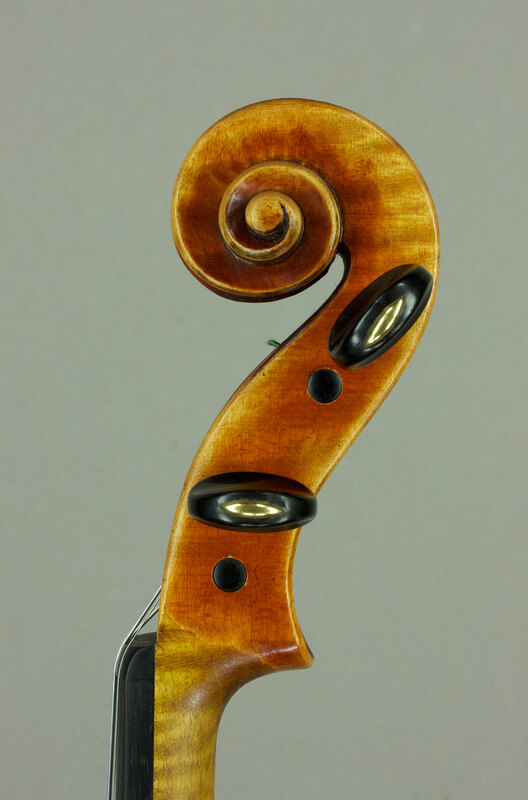 For the front I used very fine alpine spruce, the one piece back is made from highly figured bosnian maple.